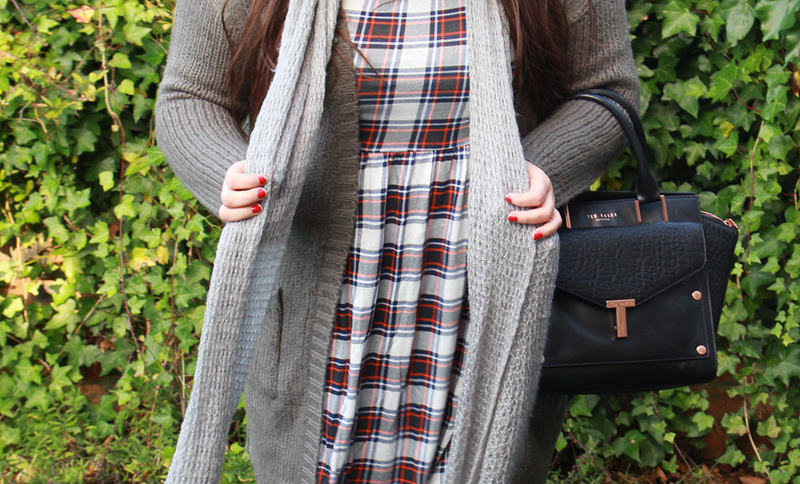 I adore tartan dresses, so I couldn't resists picking this one up from Primark. Believe it or not - it was only £5.00! What a bargain. It is from their new collection as well, so you can definitely get your mitts on it. Must have for Autumn! The quality of the dress is actually pretty good, but the stitching is a bit off around the chest area and it all looks a tiny but squint. It's not a big issue though and I still adore the dress! I am sure that you will be able to find a perfectly stitched one. They only had one left in a size 20. 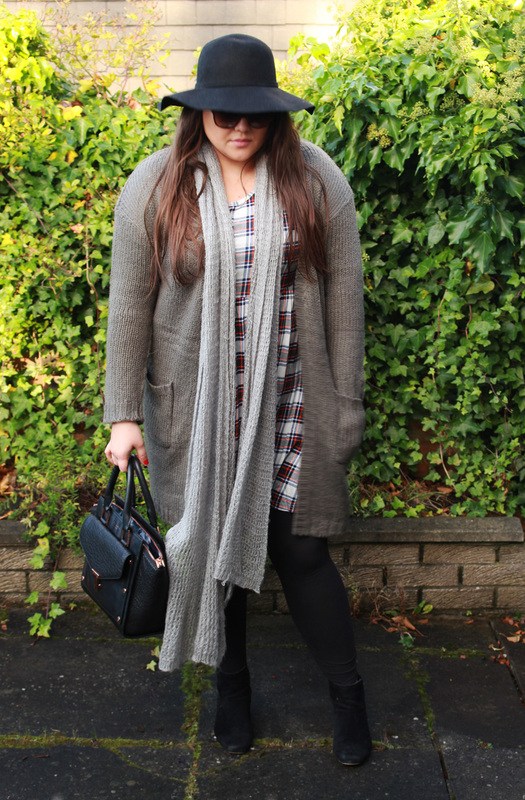 I am wearing it with a long grey cardigan, that I also bought from Primark this week. I can't remember the price, but I think it was around £12-£15. 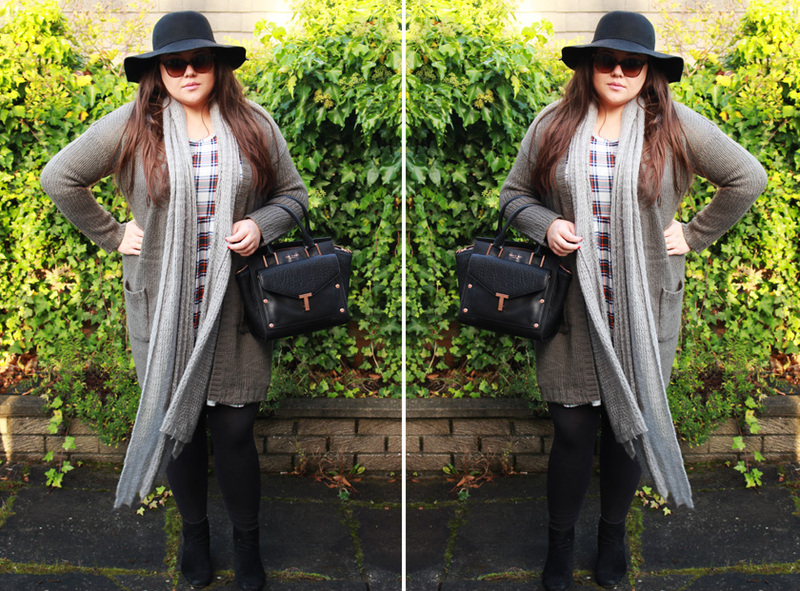 I added a light grey scarf, a black floppy felt hat and my Ted Baker Layally Bag. To keep my legs & feet comfy and warm, I opted for thick black leggings and John Lewis Hope Mid Heel Chelsea Boots. I am also wearing D&G Sunglasses. 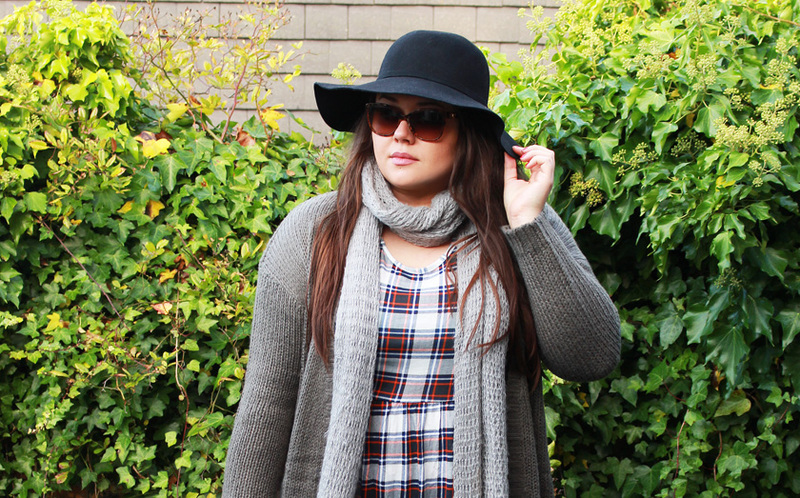 Have you bought anything nice from Primark recently?